Disney did well because of its nostalgic associations, and the "strong bonds it builds with both men and women and across a variety of age groups," MBLM said. Apple meanwhile "lost some luster" because of "well-publicized missteps and consumer gadget fatigue," the firm explained. Amazon, Chevrolet, Netflix, Harley-Davidson, PlayStation, YouTube, Ford, and Chick-fil-A rounded out the top 10. To create the U.S. rankings 6,200 people were polled during 2018. Respondents were limited to those aged 18 to 64, and household income of $35,000 or higher. In separate polls in Mexico and the United Arab Emirates, Apple retained first place. Both Apple and Amazon did well with younger demographics, like last year, MBLM noted. In terms of class, Apple was the top brand among people making between $100,000 and $200,000 per year -- people below that income picked Amazon. Glad to see Apples partner at the top. Does the term "brand intimacy" creep any out or is ti just me? I couldn't care less what "brand intimacy" is about. All I know is that when it comes down to things that matter, like privacy and security, I know that Apple has my back. 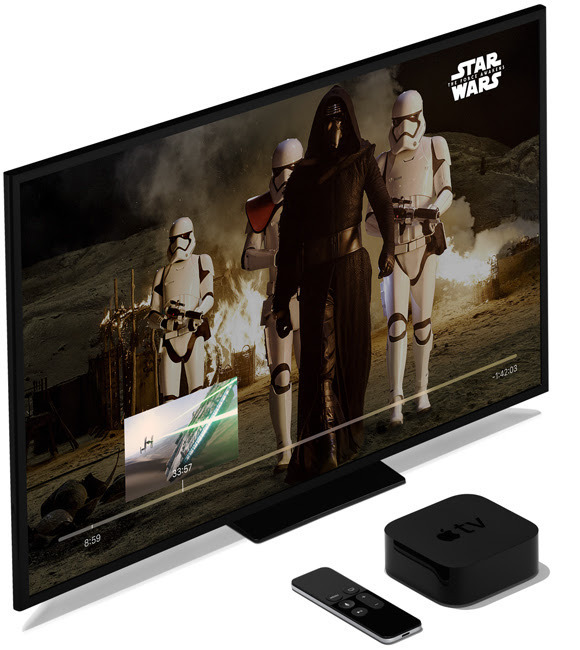 The slew of devices coming out like Samsung's iTunes-compatible TV's have me worried. While I trust Apple to keep my credentials secure, 3rd-party folks that place security and privacy on the back-burner can wreak all kinds of havoc. Those that know Apple know this is just a 15-minute fad piece. what is brand intimacy and why does anyone care? Interesting that the only other device maker in the top ten is Amazon (#3, with a score close to #2 Apple). The term "brand intimacy" is cringe-worthy. The top car makers in the list (Chevy and Ford) have significantly lower scores. Would have expected other car/truck makers to have had higher scores in the US ratings (Fiat-Chrysler, Toyota, Honda, VW) - some are listed in the 10-20 grouping. Wonder about the detailed demographic breakdown of those surveyed. Don't believe "brand intimacy" squares with either long-term quality, reliability or ease of use. Greepy group of main chancers comes up with a sleepy brand classsification system, and promotes itself by “dropping” Apple from the top spot. Media interest ensures. Which is the worst profession, politician, journalist or advertiser? Apple meanwhile "lost some luster" because of "well-publicized missteps and consumer gadget fatigue," the firm explained. Yes, because there are more people willing to go all the way to publish negative things about Apple, even it they are mostly lies? In Disney's case, I guess it means being fleeced. Having just booked a night and a day at a Disney World resort for the wife and myself and our granddaughter I can guess it means overcharging to a level that is beyond belief and then having the temerity to explain you won't actually get on any rides unless you use their Fast Track app that lets you jump the line a few times ... then you are the ones standing in line and being passed the rest of the time ... Jeez. I remember when it was a pleasant experience.